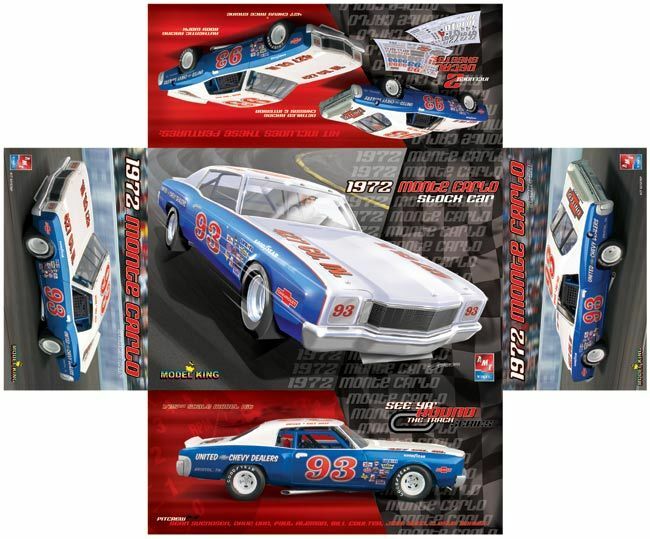 As a package designer and car illustrator, I created the packaging and decals for the re-issue of the '72 Chevy Monte Carlo stock car Model King 1/25th scale kit . 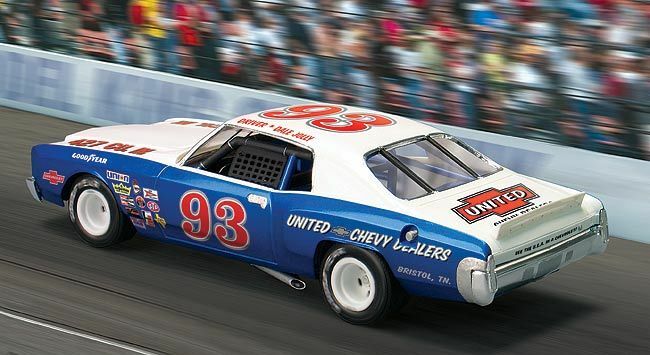 The last in a series of vintage NASCAR kits, the box art features the red,white and blue & checked flag motif I created for the entire collection. Other boxes and decal sheets I designed for this series include a Torino, Cyclone and Laguna. Shown above is the illustration I created for this particular box. It's a digital car illustration that was drawn and painted by hand in Photoshop CS2 on a Cinteq monitor. I also created the layout for the box using Photoshop and created the vector art for the decals in Illustrator. In addition to the box design I also built a model of the kit to photograph for the box. Due to the manufacturer not being able to supply a test shot of the kit, Model King sent me an un-built original AMT Bobby Allison kit (which the re-issued kit is based on) to build. I felt a little bad about building it because these kits are hard to find and highly desirable in original un-built condition, but "if you want to make an omelet, you have to break some eggs." After completing the model, I photographed it and Photoshopped it into a scene to make it appear as if it were on track. I used these photo compositions on the box ends. 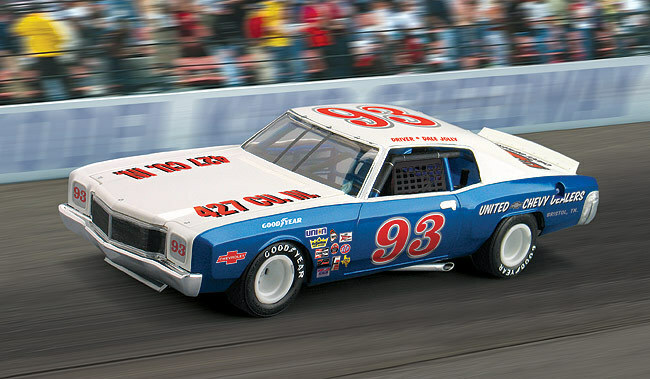 To avoid licensing issues with known drivers and sponsors I again created my own design for the car's paint scheme. 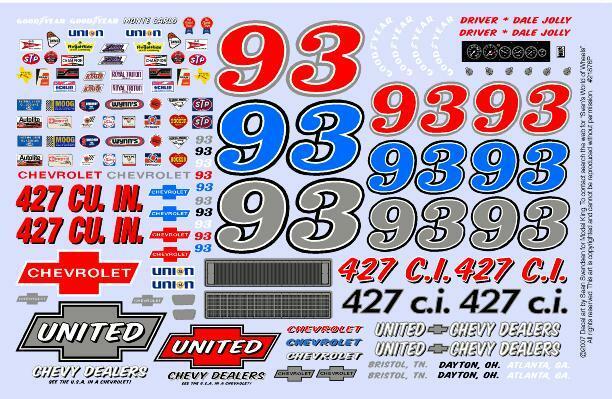 For the decal sheet I also tried to add details which I thought serious modelers would appreciate but many kit manufacturers often overlook; things like tire lettering, gauge faces, and grill screens. See other examples of my car illustration, package design and decal design art work.